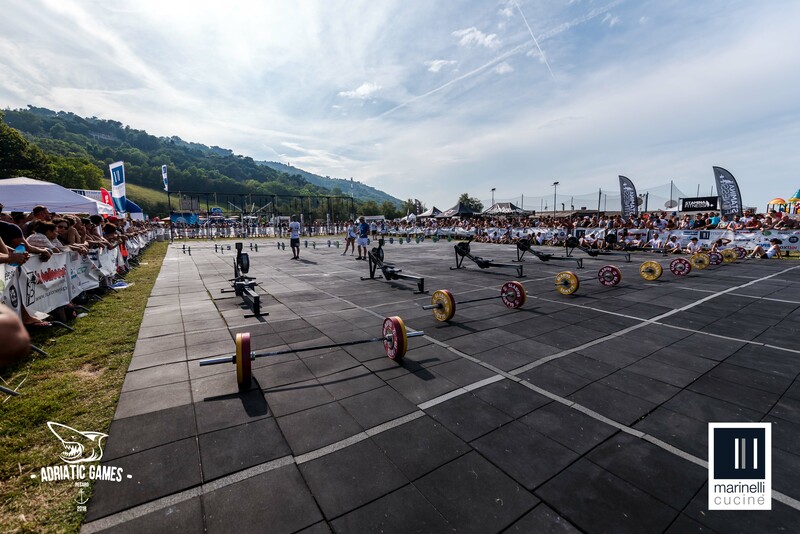 The Adriatic Games are one of the most important Italian CrossFit summer team competition. And it has never stopped growing from the first to the sixth edition, which will take place in July 2019, thanks to a bunch of athletes and sponsors involved. Are you ready for some news? The teams will be 126, made up by 2 men and a woman or 3 men. Besides Rx MMF (28 team), Rx MMM (28 team), Master +35 MMM (14 team), Scaled MMF (42 team), there’ll be a new division as well, i.e. Intermediate 110+ MMF (14 team). In order to join the competition on our field, Scaled MMF and Intermediate 110+ have to overcome the online qualification. The remaining categories have no qualification. Every team can sign up to the competition from March 1 to April 7 (concerning Scaled MMF and Intermediate 110+MMF). The qualifying entry will start March 26 and close April 14 (concerning Scaled MMF and Intermediate 110+MMF). Rx MMF, Rx MMM e Master +35 MMM can sign their team up until June 9. During the competition, there will be differences of weights and standards between Rx MMF, Rx MMM, Master +35 MMM, Scaled MMF and Intermediate 110+MMF. Every team can choose one category to join the competition and, if needed, the online qualification, that closes April 14. The videos will be reviewed by Project Judges and its judgement can’t be contested. We’ll inform you about the correct workout execution by means of a video tutorial published on this web site and on the Facebook page of the Adriatic Games. DOWNLOAD AND READ THE RULES! Le qualfiche avverranno online dal 26 marzo 2019 al 15 aprile 2018 tramite un WOD a cui dovrà partecipare tutto il team. Ci saranno differenze di peso e di standard per le varie categorie (RX MMF, RX MMM, the new MASTER +35 MMM and SCALED MMF). Ogni team dovrà scegliere una sola categoria per cui iscriversi e provare la qualiﬁca. I video saranno esaminati dalla nostra giuria tecnica competente e il giudizio sarà insindacabile. Il wod, gli standard e le modalità per un’esecuzione corretta della prova saranno comunicate sul sito e sulla nostra pagina Facebook con un video tutorial. 1. 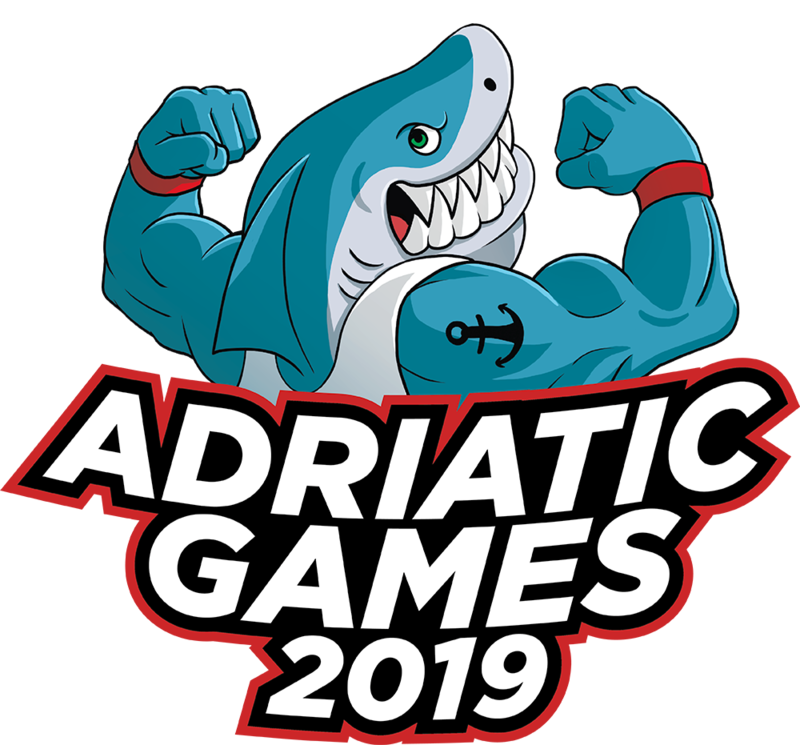 Every team member must visit the web site Judge Rules and register to the event Adriatic Games. 2. Every team is composed by just one team leader and two other athletes (be careful to choose the right category). 3. Just the team leader can go on and create his team, after the payment of his qualifying entry. 4. The two athletes can join their team leader, after the payment of their qualifying entry. Every member must pay his qualifying entry. July 27 and 28 will be the final game weekend. The best 126 team will compete in the Baia Flaminia arena. Before the games, the athletes can enjoy a covered warm up area and the winners of each category will be rewarded with money prizes and technical gear, supplied by our sponsors.